1894 - Choreographer Martha Graham was born. 1916 - Death of composer Max Reger. 1956 - First performance of Sir Arthur Bliss's Violin Concerto in London. 1956 - Elvis Presley entered British pop charts for the first time with Heartbreak Hotel. 1963 - Beatles album Please Please Me went to the top of UK charts. It stayed there for 30 weeks. 1970 - The triple album Woodstock was released. It went gold in 2 weeks. 1989 - Roy Orbison was inducted into the Songwriters Hall of Fame. 1979 - Bluegrass legend Lester Flatt died. 1984 - Reggae star Bob Marley died. 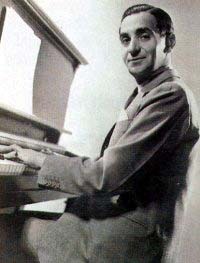 Irving Berlin was born Israel Baline on May 11, 1898 in Russia. His father, a cantor, moved the family to New York in 1893. Shortly after his father died, when Irving was just 13, Irving began earning a living by waiting tables and singing in caf�s. In 1907 he got his first songwriting credit, Marie From Sunny Italy (linked from parlorsongs.com), and changed his name to Irving Berlin. Berlin never learned to play the piano properly. He carried an instrument called a "transposing piano" with him that let him change keys of a song by pushing a lever. He did not read music, and only used the black keys on a conventional piano. He wrote more than 1500 songs during his lifetime. In 1958 Berlin was asked which of his songs were his favorites. He listed Alexander's Ragtime Band, A Pretty Girl Is Like A Melody, Always, Blue Skies, Easter Parade, How Deep Is The Ocean, Oh! How I Hate To Get Up In The Morning, White Christmas, God Bless America and There's No Business Like Show Business. Berlin was active on the Broadway musical scene, credits include Annie Get Your Gun. 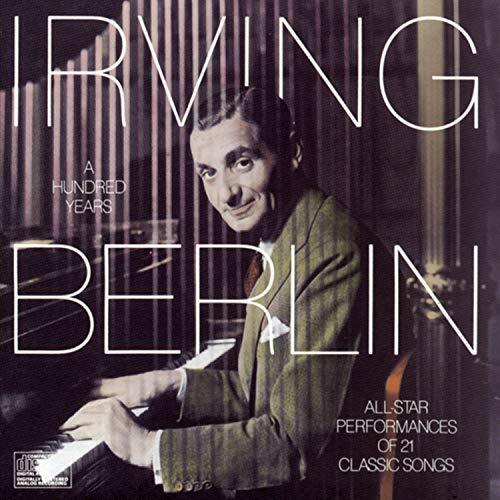 Irving Berlin was a co-founder of the American Society of Composers, Authors and Publishers (ASCAP), founder of his own music publishing company (Irving Berlin, Inc.), and, with producer Sam Harris, built his own Broadway Theatre, the Music Box. Berlin was an unabashed patriot and, through many of his foundations, donated millions of dollars in royalties to Army Emergency Relief, the Boy and Girl Scouts and other organizations. Berlin died in 1989 at age 101. With Berlin's composition Alexander's Rag Time Band being his first big hit, it is just fitting that we talk about another composer of rags. The composer of The Entertainer was a popular composer, in addition to rags, who also wrote an opera. Can You Guess who that composer is? Scott Joplin was a popular composer of rag time music.